The Abbott government has described reports of the secretive trade negotiations as a massive union beat-up, but others warn that it could lead to fundamental deregulation of banking in Australia. 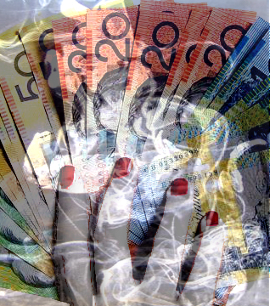 The leaked documents suggest foreign banks will get greater access to Australian bank accounts and financial data. The Financial Sector Union says it would transfer domestic banking overseas, allowing foreign financial and information technology workers to flood the workforce. They say job losses could be massive. “In what appears to be a case of collective amnesia, we now have a government willing to capitulate to the demands of our big banks and financial services lobbyists at the expense of jobs, data security and the best interests of customers,” FSU national secretary Leon Carter said in a statement. But Trade Minister Andrew Robb, who has only recently been brought into the ongoing negotiations, says that Australia needs new opportunities for the financial services sector, along with new ways into the growing Asian markets. Robb says allegations that the trade negotiations will undermine the “four pillars” banking policy were just a beat-up driven by unions and anti-trade groups. He has not confirmed nor denied the legitimacy of the leaked document.